When Cedar invented the modern dialogue noise suppressor (the CEDAR ‘DNS’), they designed it for off-line use. It quickly became a standard in post-production, winning an Academy Award® and leading the Academy to describe it as “the tool of choice for removing unwanted noise by re-recording mixers everywhere”. Nevertheless, this didn’t stop hundreds of units ending up on location carts, in football stadia and other sports venues, at the summer and winter Olympics, in newsrooms, in live TV studios, and at other high-profile live-to-air events such as The Oscars, The Grammys and the Super Bowl. 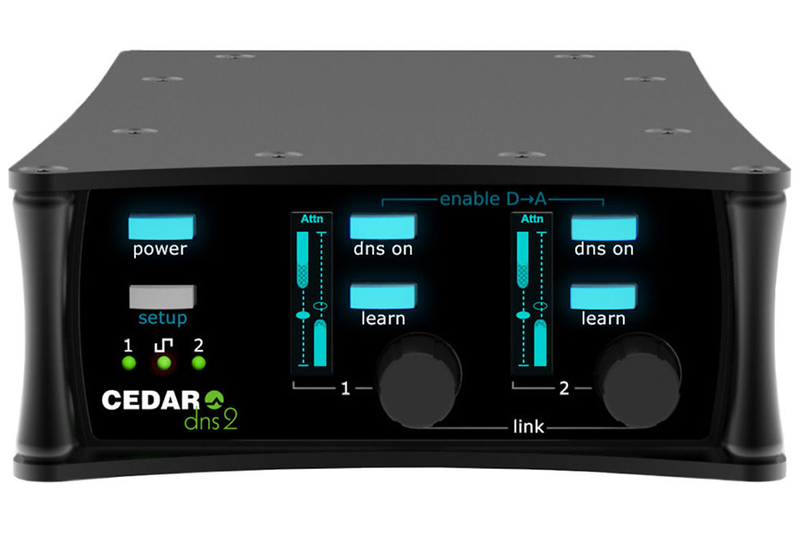 The DNS 2 offers virtually zero latency so it can be used live without loss of lip-sync. Yet it still eliminates traffic noise, air conditioning, wind, rain, babble and general background noise, compensates for unfavourable acoustics and poor microphone placement, and suppresses excessive reverberation. It can even output simultaneously the raw and processed versions of a single signal, which makes it ideal for use on location, as well as in the studio and in all live situations; not just live-to-air broadcasting, but also for live sound in venues such as theatres, concert halls, conferences venues, and places of worship.